With its rich history and culture to explore, Oman is a destination with much to offer. Here are four things to look forward to if you plan on visiting Oman. With over 3000 km of rugged coasts, Oman is home to mountainous terrains and desert dunes. Turquoise water touching uninhabited natural white sandy beaches followed by sudden rises of mountainous terrain is a breath-taking sight to take in. You won’t miss out on the sunshine when in Oman even during the winter when the weather cools down to a subtle 23 C °. With such geographical traits, Oman is ideal for many outdoor activities such as quad biking over the dessert. Oman hosts a large portfolio of luxury hotels. Unlike its neighbours in Oman, luxury hotels aren’t decked out to be over the top destinations but when coupled with the scenery these Omani hotels represent a tasteful kind of luxury. 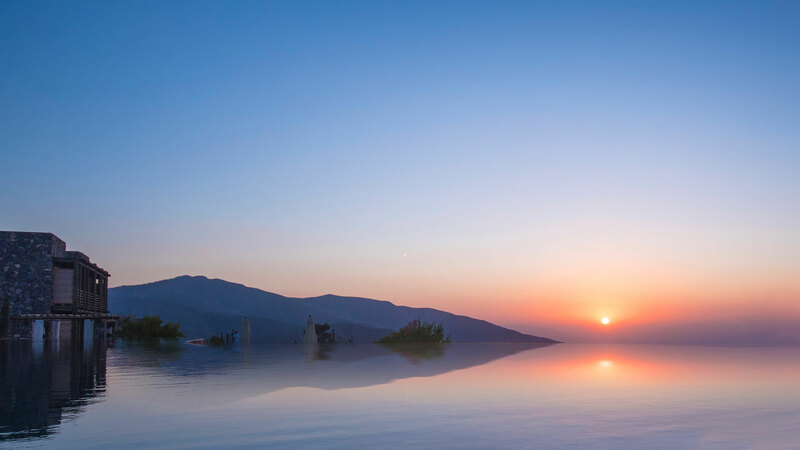 For instance, the Alila Jabal Akhdar a hotel which alongside its’ infinity pool is situated 2000 meters over sea level and overlooks a canyon. Due to its strategic location, Oman once held a turbulent past which has to lead to a culturally rich and peaceful present. From the different forts and hidden passageways around the country to the Italian- Omani opera house and 500-year-old villages that still exists in its original state, Oman has it all.